Investing in rental properties can be an exciting way to help fund your retirement, pay for your child’s college, or even build a solid source of income for your family. Getting started is often the most difficult part as funding for investment property loans isn’t as easy to come by as it is for traditional mortgage loans. The better you understand your options, various investment property mortgage rates, and how to acquire rental property loans, etc. the faster you can begin your investment property adventure. Many people only know of one kind of loan when it comes to purchasing real estate. That would be the traditional mortgage loan. Unfortunately, as far as real estate investment loans go, this might not be the best choice for most investors. Especially if you’re interested in investing in rental properties. Banks provide more scrutiny when offering investment loans and often charge higher investment property rates which end up costing more in the long-term. In other words, rental property mortgage rates are going to be higher, especially with traditional lenders, than your primary residence. These are some of the criteria banks and traditional mortgage lenders use to determine your creditworthiness for investment home loans. Your debt to income ratio. That is, your means to repay the loan in combination with your other outstanding debt. Your credit score. Your past credit behavior often predicts your future credit behavior and plays a vital role in determining whether you will be accepted or not and what kind of interest rates you will get for your real estate investment financing. Loan to value. This refers to the value of the property compared with the amount of money you’re asking to borrow. Most lenders prefer you to put up a substantial down payment for investment loans. Landlord experience. For many new investors, being a landlord is uncharted territory. It creates a bigger risk for the lender if you have no experience. While it will not preclude you from getting the financing you need if you don’t have experience as a landlord, you may face additional scrutiny in the other areas mentioned above as a result. Traditional lending can help you get the financing you need for your investment property dreams. It’s true. However, it might not be the best option for you and your situation. Other options exist that are worth considering. Whether you’re interested in rental property mortgages or you’re buying a home with the intention of flipping it for fast profits, hard money lending is an option to consider. These types of loans are of particular interest to investors who may have struggled with credit in the past. They aren’t interested in your credit score so much as they are interested in the value or income potential of the property. Hard money loans, though, aren’t appropriate for all types of real estate investments. In fact, they are best suited for investments where you can buy cheap, renovate quickly, and then sell for a nice tidy profit. Most are short-term loans, three years or less, and come with higher interest rates than the average bank loan. It’s important to understand the nature of the market and property values in your area before considering this type of loan. Many investors found themselves in a bind with hard money loans when the housing market crashed in 2007-2008. Private money loans are offered by lenders who aren’t professional banks or mortgage companies. Instead, they are people, like you, looking to diversify portfolios, with opportunities to earn quick profits and better returns than the average stock, bond, or mutual fund offers. Greater flexibility in loan duration. The ability to negotiate for even more favorable terms in the right circumstances. Just remember, when dealing with friends, families, and neighbors on financial matters that you have to be able to live with these people at the end of the day. That places greater pressure on you to succeed and repay the loans as agreed. Another option to consider for funding your real estate investments is to tap into your home’s equity. While this might appear to be an attractive option, it should be your last resort. Your home is your safety net. The equity in your home offers a cushion for financial uncertainties that may lay ahead. Cashing that equity out to secure an investment property is risky business and could prove disastrous, financially, should another housing bubble burst or worse. 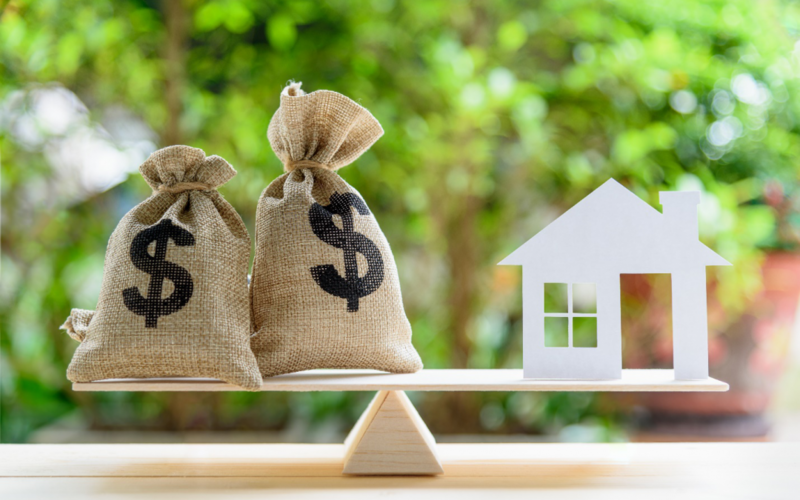 Should you choose to go this route, you can usually borrow up to 80 percent of the equity in your home in the current market to help you fund your investment, negating the need for investment property loans. Just remember this loan will come with a higher interest rate than the initial mortgage on your home and it places your home at greater risk. If your goal is to buy an inexpensive property, fix it up, and sell it for insane profits, the fix and flip loan was designed just for you. These are often hard money loans that come with higher interest rates and extremely short terms. But, they can also be crowdfunded by micro-investors across the country who are interested in funding someone else’s dreams for small slices of the pie. These investors may sneak a peek at your credit score before lending, but they are more interested in the profitability and potential of the profit. Presenting a solid plan for how you intend to update the property, the amount of money you need for the initial investment, the improvements, and staging the home for sale can aid you greatly in securing the funds you need to finance your investment. These loans are much easier to qualify for than conventional investment property mortgages. However, lenders expect you to have some skin in the game and may require much higher interest rates than traditional lenders. Another consideration comes with the loan term, with many of these types of loans lasting less than a year. Meaning you have a few months to close on the property, update the property, and sell the property. In other words, choose your market well. According to Zillow, the average number of days homes spend on the market is 68. However, some markets, such as New York city, Champaign-Urbana, Illinois, and Scranton Pennsylvania, the number of days is double that or more. It also depends on competition, the specific neighborhood, and demand for the location and type of home you’re flipping. You will also have higher than average closing costs to contend with as well so keep that in mind when deciding how much you can afford as a down payment. Investing in real estate is a dream come true for many people. For some people, it’s a stepping stone to bigger and better investments. Regardless of your goals when investing in real estate, whether they are short-term goals are part of a long-term plan for generating wealth and continuous income for life, getting the right loan to further your plans is the first step.